BetFred Mobile App – the leading sports betting and casino app. ← BetFred Free £50: There’s more than one way to win! 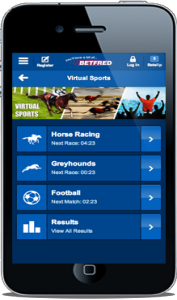 BetFred Mobile App – we assess the leading sports betting and casino app. BetFred Mobile App customers say the same thing: the new and improved app is bigger, faster and better than ever! The new version for both Android and iOS users is more robust with a wider selection of sporting events to bet on, enhanced casino tables and poker games, as well as a revamped interface that makes it easier to find your favourite bingo rooms and live dealer tables. It all makes sense when you take into consideration the fact that this relatively young brand has to compete with the likes of William Hill and Ladbrokes. But as always, it’s the underdog that tries the hardest and usually comes out on top – and the same can be said about the BetFred Mobile App. Placing bets on sports while you’re on the run is much easier thanks to a Quickbet feature that lets you place single bets without having to use the betslip. Navigation has also been improved to make it even easier to switch between greyhound and horse races, while the Correct Score screen has been completely redesigned to remove the endless scrolling that users had to endure in the previous version of the app. Bingo fans will quickly notice additional games and rooms in addition to an exclusive ‘Deposit £10 and Play with £40 mobile bingo bonuses for new customers. 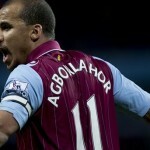 To get the mobile sportsbook app for iPhones and iPads, simply visit the App Store or visit www.betfred.com/mobile from your mobile device. Unfortuantley the app is not available on Google Play, but you can still access the mobile site by visiting www.betfred.com from your Android phones and tablets.